Balayage is one of the most popular services being requested in our Seven Hills hair salon. This colouring technique is becoming increasingly popular not just in Brisbane but Australia wide. At Unsurpassable Hair salon, we pride ourselves on being Brisbane’s Balayage specialists! The word Balayage is a French word meaning ‘to sweep’, which describes how this colour style creates a graduated and natural sun-kissed look. It is a low maintenance style that blends from darker roots through to lighter tones of blonde and caramel at the ends. The best part about this style is that it requires minimal touch-up and looks stunning! Balayage is known as a freehand style because it does not use foils or meche to apply the colour. The colour of your choice is applied to sections of your hair, much further away from your roots than a traditional colour treatment. The colour is applied without saturating through, to create that soft, natural, sun kissed look. 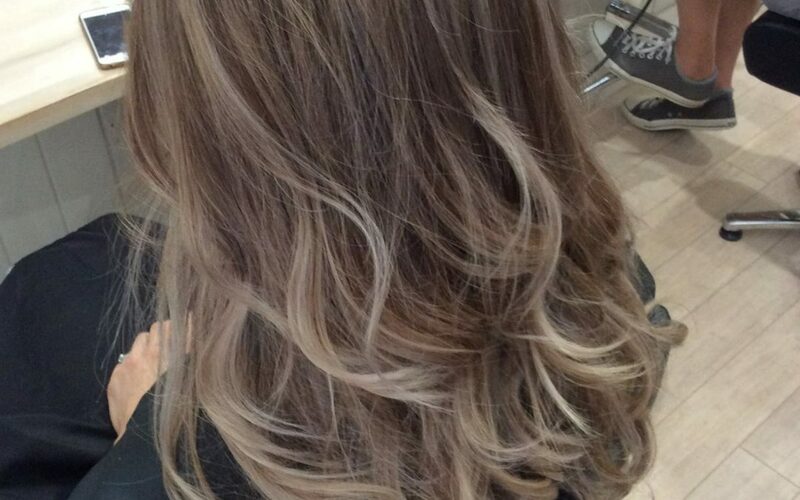 What hair types can have Balayage? Balayage is a dynamic style which can be applied to most hair types, colours and lengths. It is typically favoured by those with mid to long hair in blonde, brown and red. These colours allow for a very smooth and natural colour transition. Being Brisbane’s Balayage specialists, we can always cater to any request and will work with you to achieve the perfect look. One of the biggest benefits of this style is its low maintenance. It grows out naturally and gets better with time. The dark gets darker and the light gets lighter. You never have to worry about regrowth lines or weekly touch ups. A colour protecting shampoo and conditioner is all you need to maintain this fabulous look. Our stylists are ready to introduce your hair to the flawless balayage look! Call our Seven Hills Hair Salon (07) 3168 1034 and book your balayage appointment.